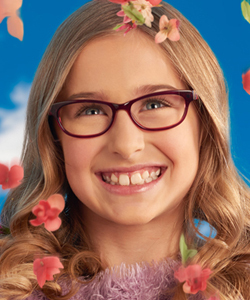 Wildflower is a bright and fresh eyewear collection offering many choices for the woman looking for hip and original frames. With a broad range color palette from bold to subtle, and a variety of shapes and styles, Wildflower offers a way for every woman and girl to express her true nature. Wildflower’s fresh designs are daring yet refined, strong yet delicate, unique yet classic. With beautiful accents and exceptional detailing, Wildflower offers the ultimate in function and fashionability.